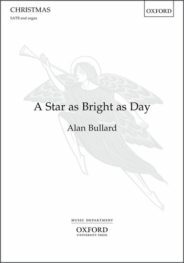 Alan Bullard has written many well-loved carols and Christmas works and edited a number of volumes of Christmas carols. 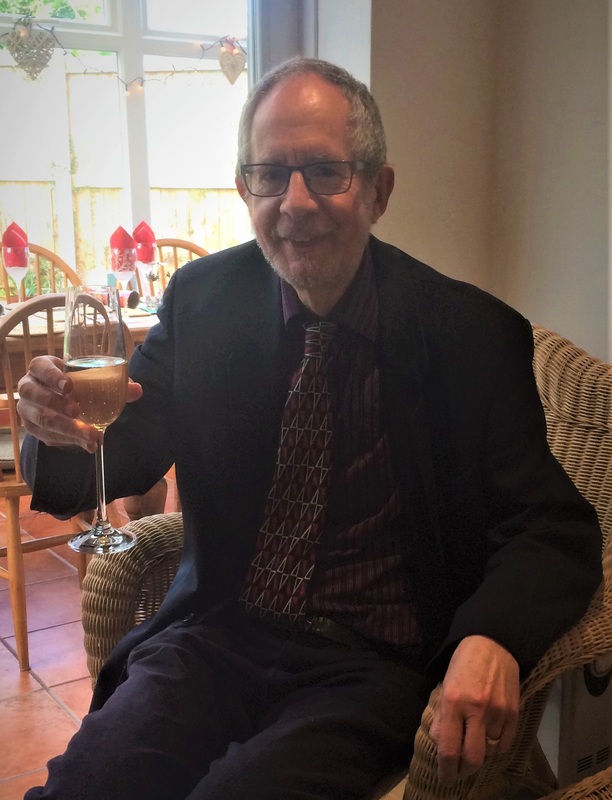 To mark the start of the Advent season, we asked him to tell us a bit about his Christmas traditions and what it is about Christmas that inspires his writing. What’s your favourite thing about the Christmas season? The Christmas story: it may not have actually happened quite as described, but its message still reaches out to us in so many ways. Is there anything about Christmas that particularly inspires your composing? Yes. Although many composers find themselves involved in Christmas-related activities for much of the year, there is something about the dark nights, the decorated houses and churches, and the Christmas message of peace and friendship, that concentrates the mind on the composition of Christmas music. Having said that, I wrote one of my most popular carols on a hot summer’s day! What marks the beginning of Christmas for you? What’s your favourite Christmas film and why? Not really a Christmas film – but watching Marx Brothers films at Christmas with the family has always been a delight. Alan Bullard at Christmas. Used with permission. What’s your favourite Christmas carol and why? There are so many! A traditional one would be the Polish folk-carol ‘Infant Holy, Infant Lowly’ with, although it was probably a transcription error, the fall of a third in the in the final bar (not the straightened-out version in NOBC). It has a lovely simplicity and a sequence to die for in the middle section. My favourite twentieth-century carol would be Herbert Howells: ‘A Spotless Rose.’ Howells was my teacher at the Royal College of Music and it’s lovely to remember him in this way, with this freely-flowing and expressive work. Which one of your own Christmas works are you most proud of and why? This is hard to answer – but if I had to choose just one it would be ‘Scots Nativity’ for its gentle simplicity and melodiousness, which I’ve never quite been able to replicate. Are there any seasonal activities that you particularly enjoy doing? The opportunity to celebrate with friends and family, children and grandchildren. And to sing and worship in Christmas services. What does a typical Christmas day look like for you? A typical Christmas day for me starts with attending a midnight service. Then, in the morning, presents, a walk, a light lunch, perhaps another walk, then food preparation, Christmas dinner in the early evening, games, and carols. Why do you think music is so important to people at Christmas time? Christmas carols and songs have become part of our folk heritage, and are embedded in so many people’s memories from schooldays that their words and music become a nostalgic evocation of the past as well as a vision of peace for the future. Featured image credit: Church window by Falco. Public domain via Pixabay. Alan Bullard is a highly respected composer of both instrumental and choral music. His most recent carol is A star as bright as day. His major choral publications include the inspirational Oxford Book of Easy Flexible Anthems as well as the Oxford Book of Flexible Anthems, Oxford Book of Flexible Carols, Alan Bullard Carols, and Alan Bullard Anthems.